Founded in 2010, Saatva has grown into one of the largest online only mattress companies on the interwebs. While the brand started out selling innerspring mattresses, it’s since branched out into the memory foam and latex spheres with the Loom & Leaf and Zenhaven mattresses, respectively. 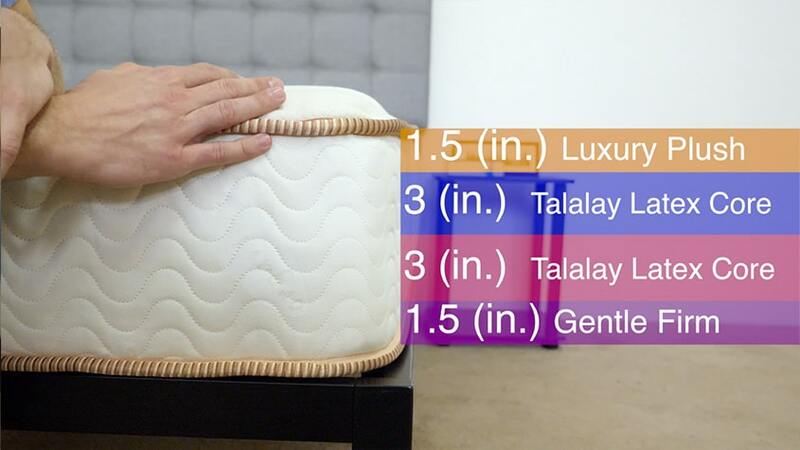 Today, we’re taking a look at how the company’s flagship Luxury Firm innerspring measures up to its foam brethren to find out if one of these beds might just be the one for you! Given that these mattresses are so different, I’ve no doubt that you’ll know exactly which one you’ll want by the end of this comparison. So whip out your eye mask and your favorite stuffed animal, because we’re about to snuggle down into the dreamy world of Saatva mattresses. Short on time? Click here to skip to my comparison summary. 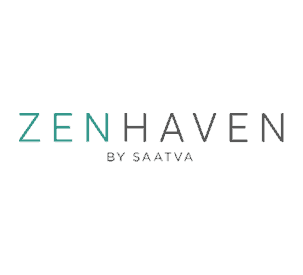 Claim a $75 gift card with your Zenhaven purchase! Earn a $75 gift card with your Lime & Leaf purchase! While these mattresses feature distinct constructions, they also share some similarities that unite them under the Saatva banner. So before we get started dissecting these bad boys, let’s take a peek at some of their shared characteristics. Cover – All Saatva mattresses feature a 100% organic cotton cover, which makes for a luxurious feel. Though the way this fabric is used differs across the mattresses (quilted with foam in the Saatva, knit with wool in the Zenhaven and combined with flame-retardant thistle in the Loom & Leaf), it imbues each bed with a pleasant cooling sensation and softness. Cooling properties – All three of these mattresses feature materials that encourage cooling. We see this in the Loom & Leaf’s special gel comfort layer, the Saatva’s air flow-focused construction and the Zenhaven’s use of latex, which is well-known for its temperature regulating properties. All natural materials – The Saatva company prides itself on being eco-friendly and advertises use of all-natural materials across its mattresses. This is most readily apparent in the Zenhaven, whose bed is crafted from organic cotton, all-natural wool and American-made Talalay latex. See how these three rank on my best mattress roundup! And now onto the differences between the Saatva, Loom & Leaf and Zenhaven. Moving forward, the most obvious thing you’ll notice is the diversity of materials used and how that affects the overall sleeping experience of each mattress. Innersprings, memory foam and latex all perform differently, so I’m pretty stoked to assess them side-by-side. I’m going to walk you through a brief synopsis of each bed’s specific construction below, but would encourage you to also check out our full reviews of the Saatva, Loom & Leaf and Zenhaven. The Saatva mattress combines a luxurious pillow-top layer with two sections of coils for that classic innerspring feel. Earn a $75 Visa gift card with you purchase of a Saatva mattress! Comfort Layer – Beneath the quilted cotton cover lies a layer of foam in a wavy design. This section provides some nice pressure relief and the construction encourages air flow throughout the mattress. The layer also acts as a transition between the soft top and coils below. 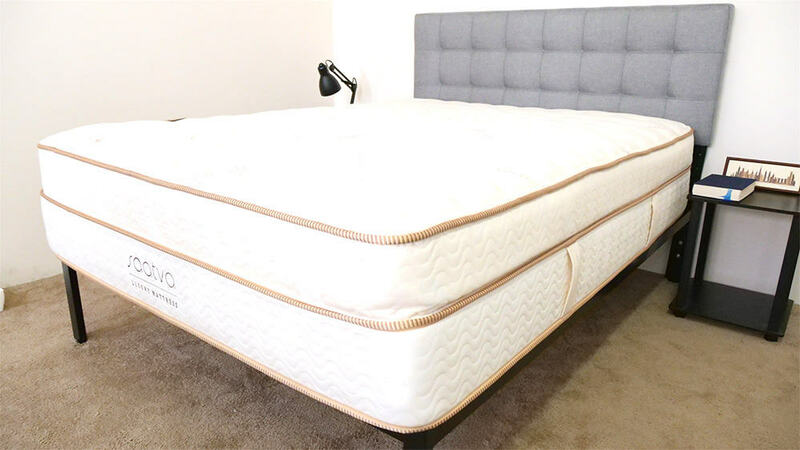 Compression Layer – The second layer is a section of individually wrapped coils that provide the mattress with some great bounce, which allows the sleeper to adjust positions easily. Individually wrapped coils have also been shown to be excellent at isolating motion. Support Layer – The thickest layer of the Saatva is constructed of steel support coils. These springy bad boys not only provide a strong foundation for the top two layers, but also help to create a bed that responds well to pressure. Base Layer – And finally the base of the mattress, which is built with high-density polyfoam. This layer acts as a firm cradle for the bed’s coils, instilling the structure with durability. For more on innerspring mattresses, check out some of my favorites. Comfort Layer – The first layer of the Loom & Leaf is crafted with 2″ of high-quality conforming gel foam.This material is slow to respond to pressure, and is built with a special swirl technology, which ensures that the cooling gel is evenly distributed throughout the layer. There’s an additional layer of gel laminated to the top of the material at the lumbar region, intended to provide extra relief to the lower back. 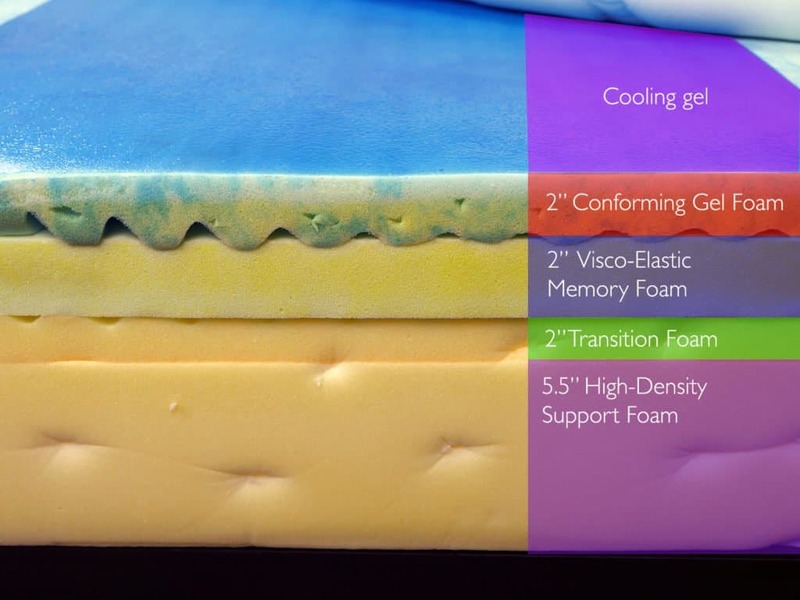 Compression Layer – Below the gel memory foam, you’ll find a layer of high-density visco elastic memory foam. This section is also slow to respond to pressure and has been specifically developed to contour to the curves of the body. 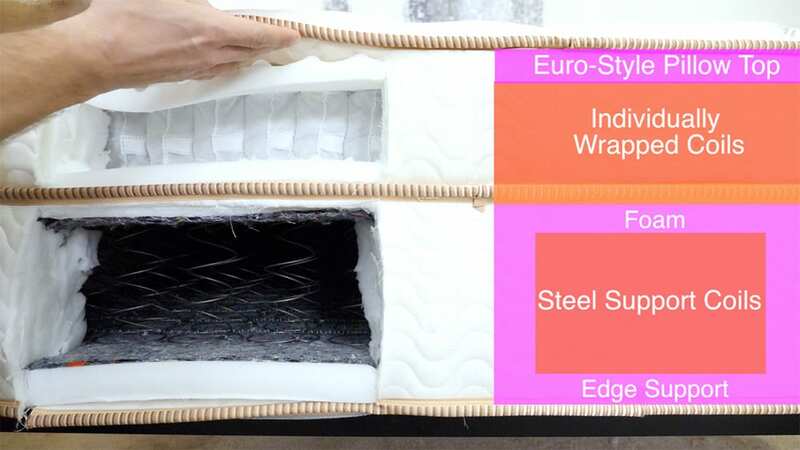 Transition Layer – The third layer is a transitional section of polyfoam that helps to create a sense of support for the sleeper. It bears the weight of the softer memory foam top layers and helps connects them to the heavy-duty base. Base Layer – The final layer is constructed with 5.5” of high-density polyfoam, which helps to anchor the mattress and give it shape. Aside from being built of latex, the Zenhaven differs from the Saatva and Loom & Leaf in that it’s totally flippable, with the two middle layers sandwiched between a luxury plush layer on one end and a gentle firm layer on the other. Depending on how you sleep, you’ll be able to adjust the bed to align with your preferences. I’d also like to reiterate that the Zenhaven is constructed entirely of all-natural products, another factor that sets it apart from the other two mattresses. For the purpose of this section, we put the luxury plush on top and the gentle firm layer on the bottom, but just know you could reverse the order if you wanted. Also worth noting that no matter how you flip the Zenhaven, it’s going to be the heaviest bed in this bunch! Comfort Layer – The luxury plush layer is made with 1.5” of Talalay latex and is soft to the touch. There’s a lot of give here, so you’ll feel a subtle sinking feeling when you press into this section. This makes a great top layer for side sleepers or people who enjoy a less firm mattress. Compression Layer – The second layer is built with 3” of Talalay latex, which provides the mattress with some nice bounce. The material also adds support to the overall structure and makes it easy to shift sleeping positions. Transition Layer – Below the second layer is another 3” section of Talalay latex. If you’ve got the plush layer on top, this layer will act as a transition into the dense base of the mattress and if you’ve got it flipped the other way around, it will provide immediate support from the firm top. Foundation Layer – As we have it oriented, the fourth layer is 1.5” of gentle firm latex. In this orientation, the layer takes on the role of sturdy base; in the other iteration, it becomes an ideal top for the sleeper who wants extra support. As you can see, these three mattresses are built in totally different ways, which means they’ll satisfy your sleeperly needs differently, too. And I know, I know… comparing memory foam with latex and innerspring is like comparing strawberries with puppies and tug boats, but the general takeaway is that all three constructions are meant to epitomize the classic feels they’re going for, so we’ll spend the rest of this review investigating whether or not they live up to the task! FAQ: What type of mattress is right for me? Enjoy the cozy comfort of this ultra-plush mattress, and earn a $75 gift card with your Lime & Leaf purchase! Nitty gritty details aside, let’s get down to how these Saatva siblings feel. This is, after all, why you’ve stumbled upon this comparison, so I’m going to do my best to provide you all with a sense of how you’ll experience these mattresses when you’ve turned off the lights and slipped into bed for sleep. One of the most important things to consider when describing the feel of a mattress is its relative firmness. 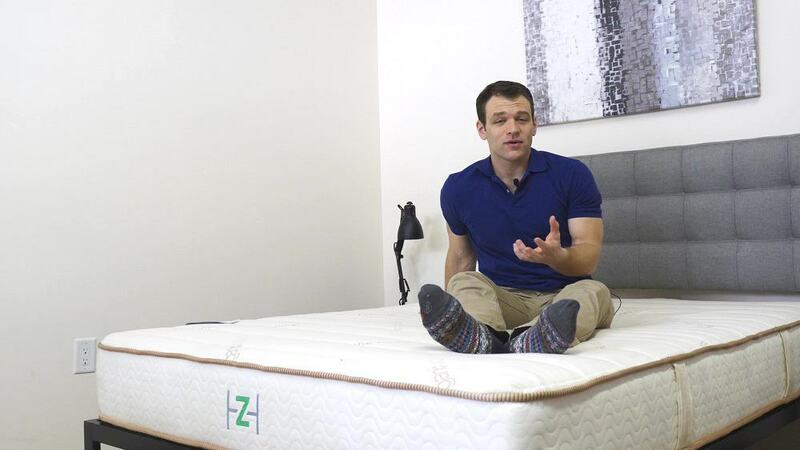 Everyone feels the firmness of a mattress a bit differently, so I brought in a few testers to try out each of these products. Below is the graph showing the average firmness rating for each of the three mattresses. While feel is, of course, a super personal thing, I want to break down some of the aspects that give these mattresses’ their fully unique vibes. 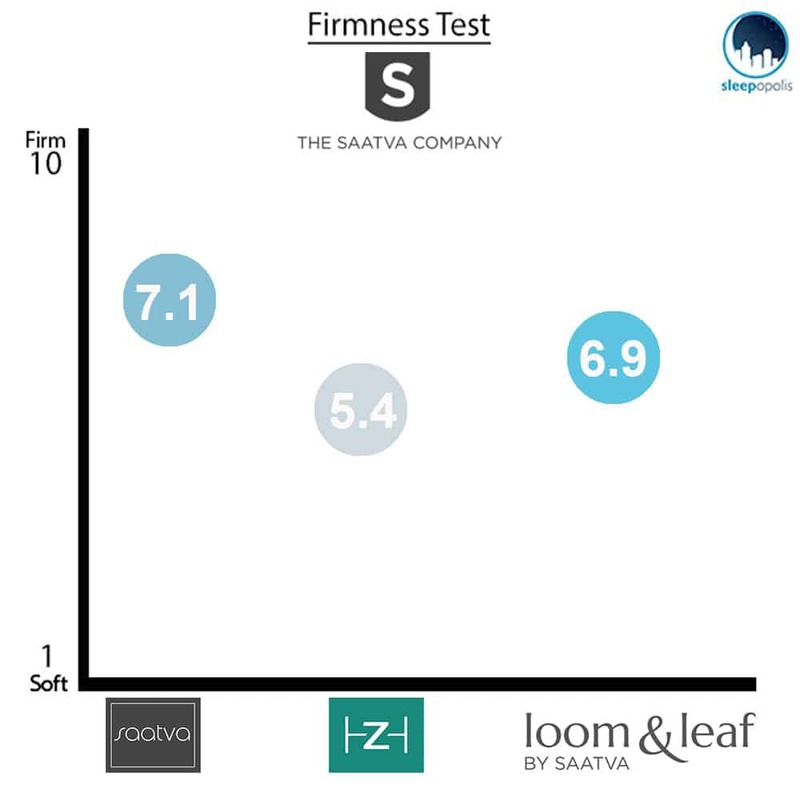 As you can see on the graph above, the Saatva got an average firmness rating of just over 7, with the testers agreeing that it had a medium firmness. When I stretched out on the bed, I definitely felt like I was sleeping “on top” of it and experienced a healthy amount of supportive bounce from the interior coil structure. It was easy to move around and I felt like I could spring out of bed at any moment. While I wasn’t necessarily uncomfortable in any position, I’d say this Saatva mattress is best suited for back sleepers and would suggest that stomach sleepers check out the brand’s firmer version of this bed and that side sleepers consider the softer one. I gave the Loom & Leaf a firmness rating of 6, which I would consider medium firmness. I felt myself sinking into the mattress when I was on my back and stomach, but felt a lot of support when I switched over to my side. That being said, I was never stuck in the mattress and was able to shift back and forth between positions easily. 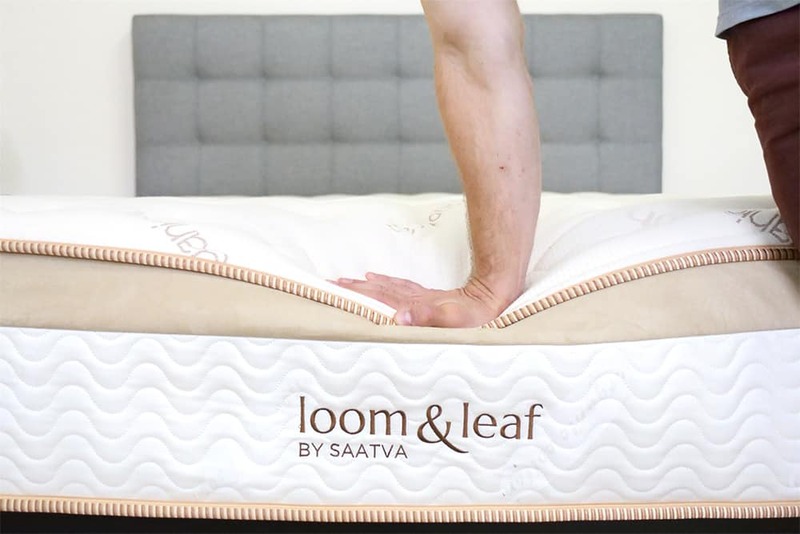 The Loom & Leaf is going to give you that classic memory foam feel, which is a softer alternative to the buoyant energy of the Saatva’s traditional innerspring construction. That being said, the Loom & Leaf also sells a firmer option of this mattress. The firmness of the Zenhaven mattress will depend on which end you’ve chosen as your top layer. 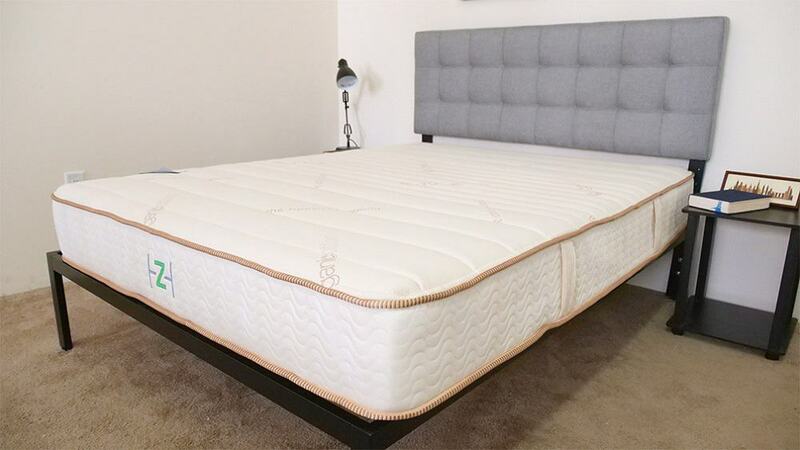 If you’ve oriented the bed with the luxury plush section right-side up, you’ll experience a soft-to-medium firmness, which our testers quantified with an average firmness rating of just under 5.5. Throwing it the other way around with the gentle firm layer on top, the average rating was 6.75. Regardless of the orientation, the mattress has a strong bounce to it thanks to the latex used throughout. This means you’ll always feel like you’re sleeping “on top” of the mattress and won’t experience the extreme sinking feeling that comes with memory foam. This is fantastic for back and stomach sleepers, but can sometimes pose a problem for side sleepers. However, I found that the Zenhaven offered some nice pressure relief on my side, especially with the plush layer on top. Another crucial component of feel is sinkage, or how much you can expect to sink into your mattress while you’re sleeping. 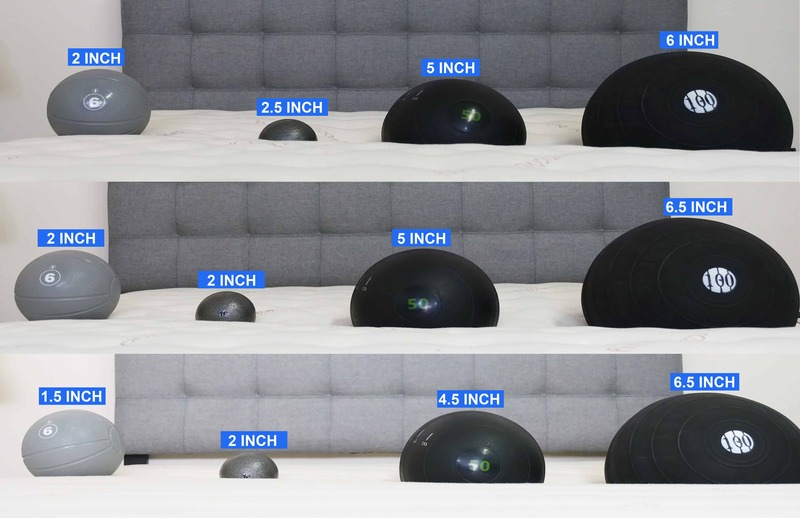 To illustrate this factor, we placed an array of weighted balls on the surface of each mattress to simulate how different parts of the bodies—and different sized sleepers—would interact with the beds. 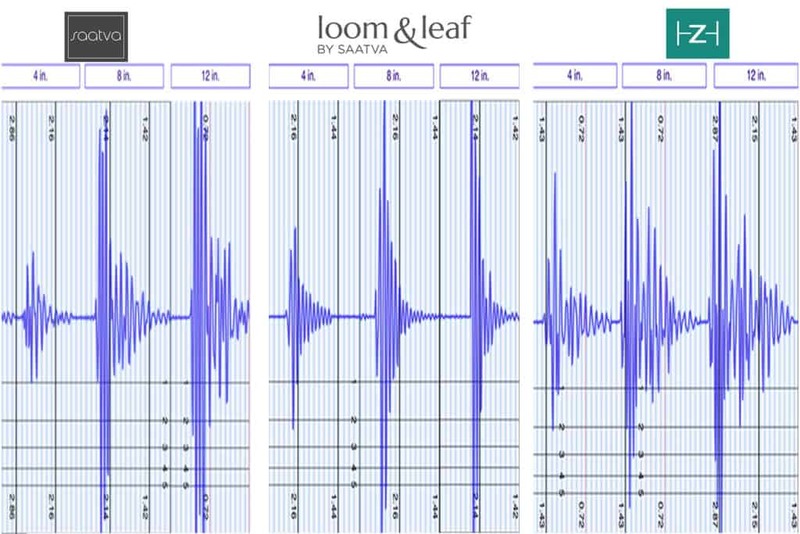 As you can see in the graphic above, the sinking rates for the three Saatva mattresses are fairly dissimilar, with the Loom & Leaf experiencing the most sinkage followed by the Zenhaven and the Saatva. This isn’t that shocking when you consider that the Loom & Leaf’s memory foam is specifically constructed to sink in contrast to the Saatva’s extra-supportive steel coils and the spring of the Zenhaven’s latex. The thing to notice here is that all three of these beds feel the way they’re supposed to, meaning that the Saatva springs like a traditional innerspring mattress, the Loom & Leaf sinks like a luxurious memory foam bed and the Zenhaven bounces like a latex foam mattress. So depending on your personal style, you should find a lot to love in any one of these beds. That being said, I’d personally recommend that back and stomach sleepers consider the Saatva for its firmness, side sleepers check out the Loom & Leaf for its decadent pressure relief and all-over-the-place sleepers snag the Zenhaven for its flippable versatility. Hip and shoulder pain? Check out my top picks for side sleepers. Whether it’s with your long term partner or your second cousin dropping into town for a wedding, you’re bound to share your bed with someone during your mattress’ tenure. That’s why it’s crucial to consider motion transfer when making a big mattress purchase. As you can see in the graphics above, all three of these mattresses suffer from some issues with motion transfer. This is to be expected from the Saatva and Zenhaven models as neither spring coils nor latex are particularly well known for their motion absorption, but is a bit surprising from the memory foam-based Loom & Leaf. While the material is usually good at dispersing motion, the cooling gel coating on the top of the comfort layer disturbs some of its absorbing properties. The Zenhaven is a flippable latex mattress that offers two firmness options, great for sleepers of all styles! Claim a $75 gift card with your Zenhaven purchase! So which do I buy?! When deciding which of these fantastic mattresses to go with, there are a few factors to consider that will practically make the choice for you. The first thing to figure out is what kind of feel you’re after. If you like the firm feel of a traditional spring mattress, you can’t go wrong with the Saatva. 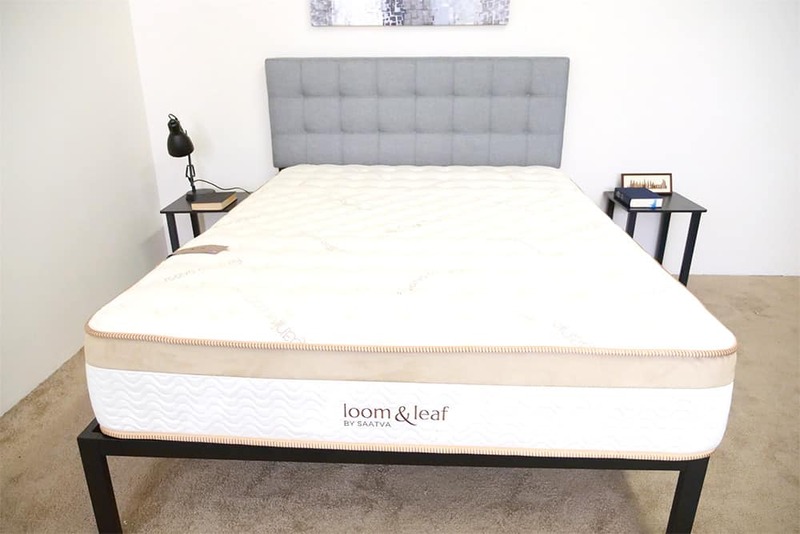 If you want a more modern, luxurious sleeping experience, I’d recommend the memory foam-based Loom & Leaf and if you want something in between the two, I’d check out the latex-based Zenhaven. The second comes down to support. There’s a wide range of firmness present in these mattresses, so considering what kind of support you’ll need is crucial to figuring out which one is right for you. If you sleep primarily on your side, you’ll get the most pressure relief from the Loom & Leaf whereas back and stomach sleepers will have better luck with the firmer Saatva. And if neither of those sound like the perfect fit for you, remember that the Zenhaven is flippable and can accomodate a number of sleeping positions. And third, how much bounce do you need? All three of these mattresses provide pretty fantastic bounce, but the degree shifts depending on the bed. You’ll obviously get the least bounce from the cushiony Loom & Leaf, a mid-range of bounce from the Zenhaven and a kangaroo’s worth of the stuff from the traditional Saatva. 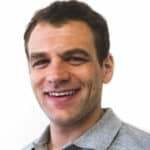 To get even more specific about my mattress recommendations, I’m going to group certain types of sleepers together that might enjoy the same mattress. Anyone looking for that traditional innerspring feeling. Sleepers in need of extra support or bounce. Want to feel like you’re sleeping “on top” of the mattress. Anyone looking for a classic memory foam feel. Side sleepers who need extra pressure relief. Anyone unsure of what firmness level they want. Want the foam feel, but hate the stuck-in-the-bed feeling. Sleepers who want an all-natural mattress. Alright folks, that about does it on this Saatva comparison. As always, if you have any specific questions or want a personal mattress recommendation, leave a comment on the video and I’ll make sure to get back to you ASAP. Buy Buy Here! Buy Here! Buy Here!